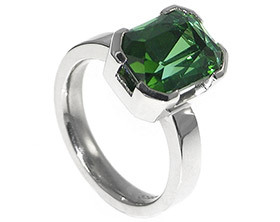 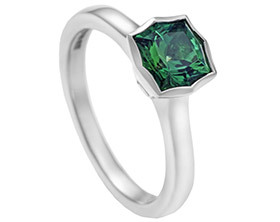 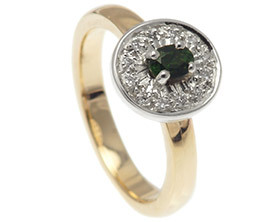 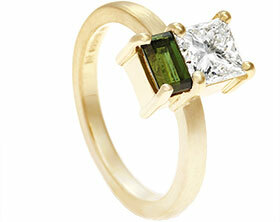 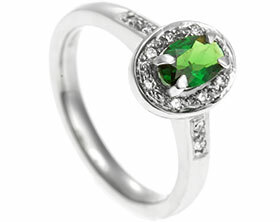 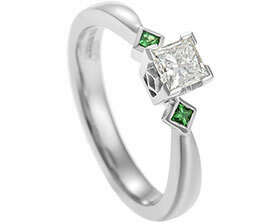 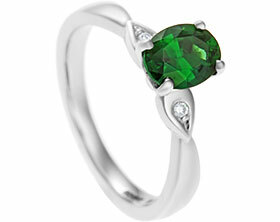 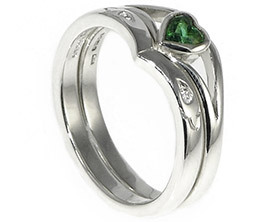 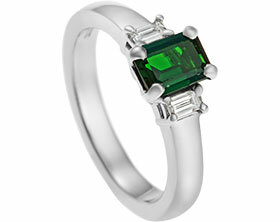 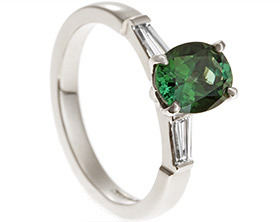 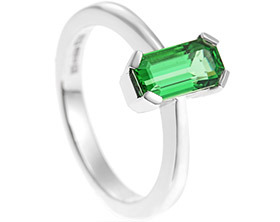 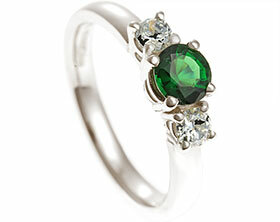 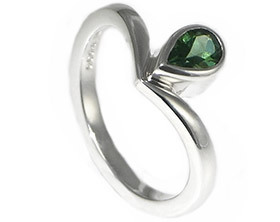 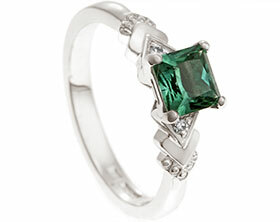 Clive wanted to showcase Janet's favourite colour in a bespoke engagement ring so had been considering an emerald as the central stone. 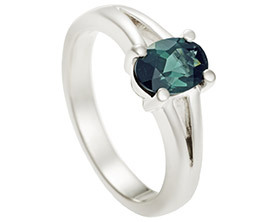 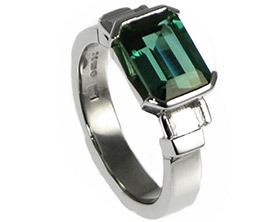 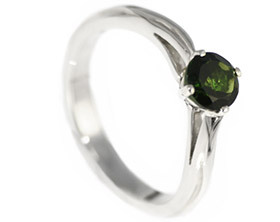 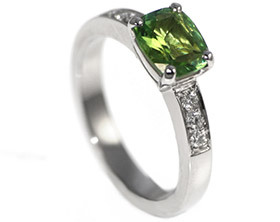 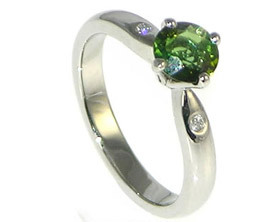 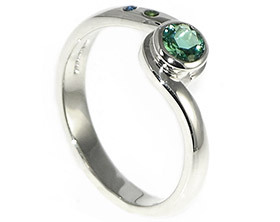 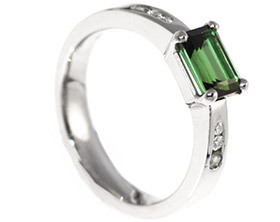 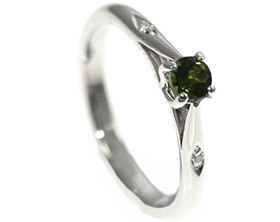 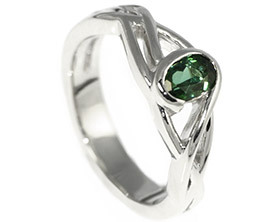 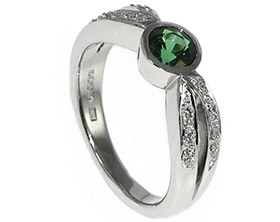 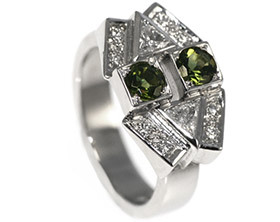 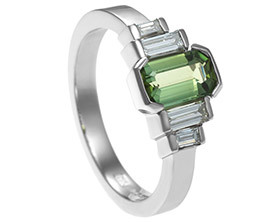 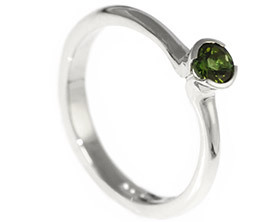 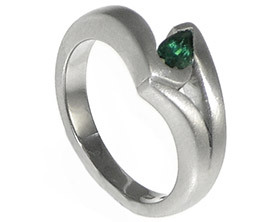 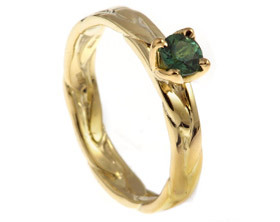 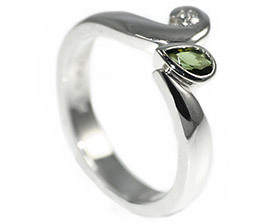 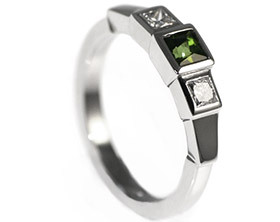 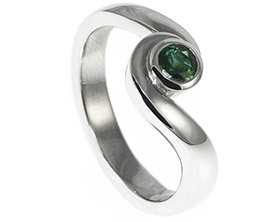 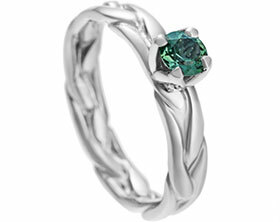 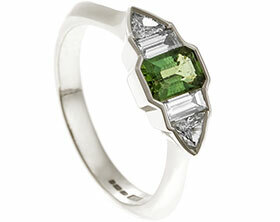 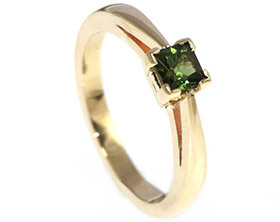 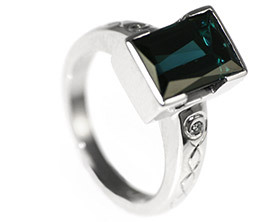 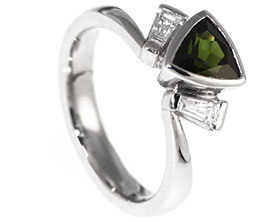 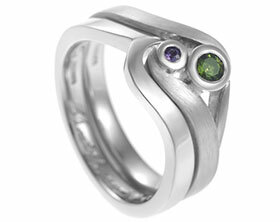 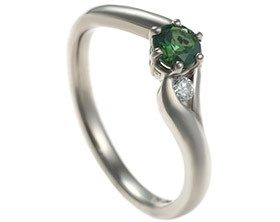 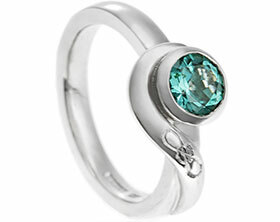 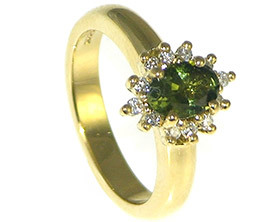 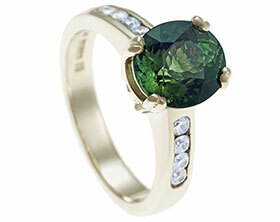 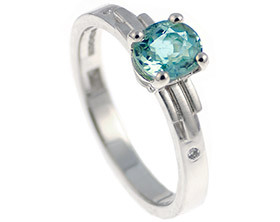 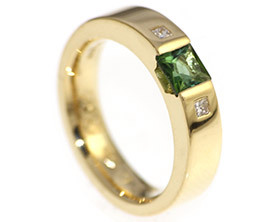 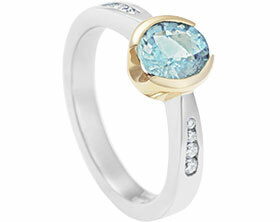 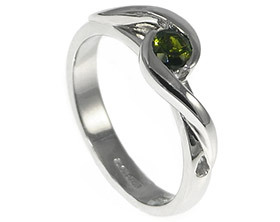 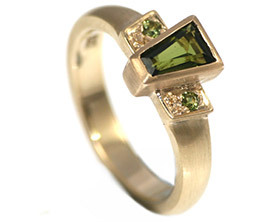 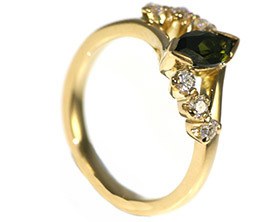 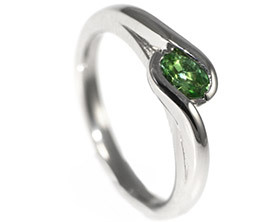 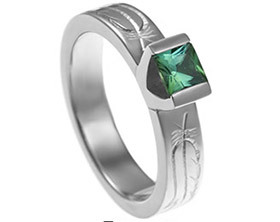 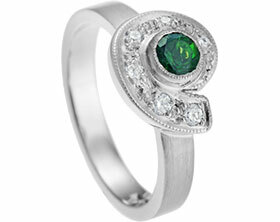 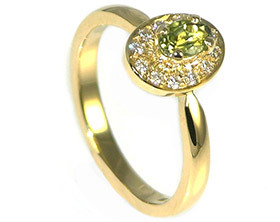 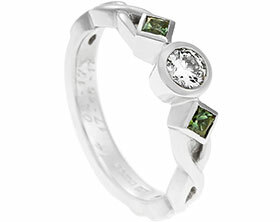 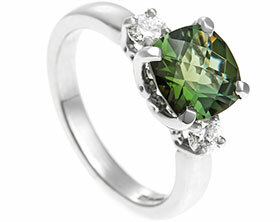 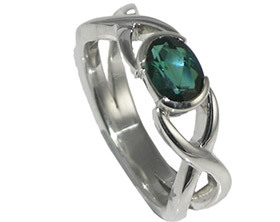 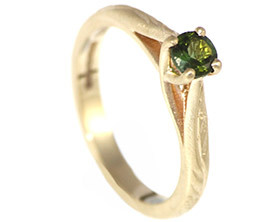 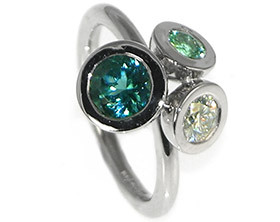 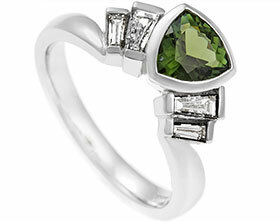 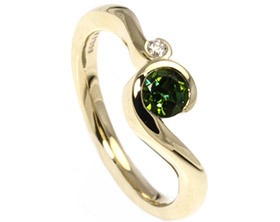 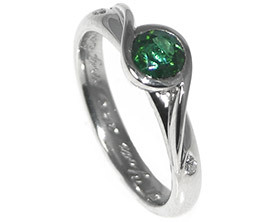 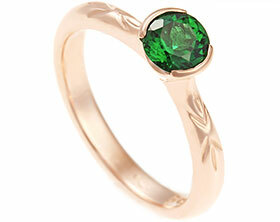 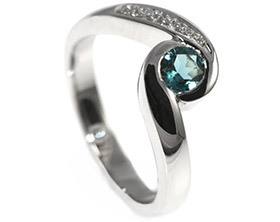 After discussing how fragile emeralds are, it was decided that tourmaline would be better to use within the engagement ring so we sourced a selection of striking green tourmaline for Clive to choose from. 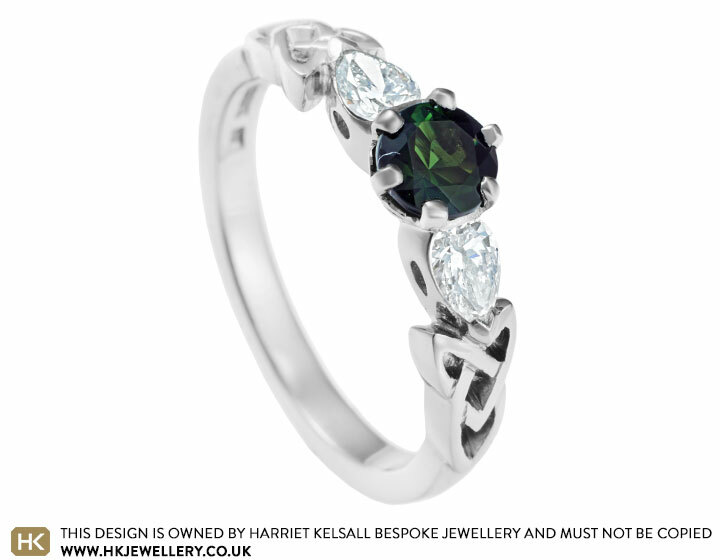 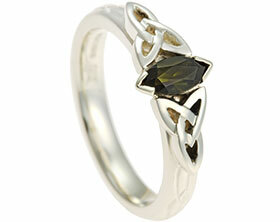 After browsing the inspiration galleries on our website, he had noticed how perfectly the point of a pear shaped stone fits into a Celtic style trinity knot so a pear cut F/G Vs diamond (totalling 0.72ct) has been set either side of the central stone for added sparkle. 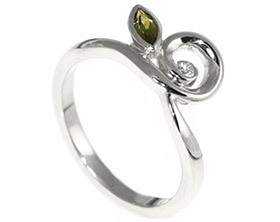 The hand-pierced knot design has been carefully crafted by our talented goldsmiths to hug the diamond, whilst the delicacy of this detail adds a light feel.